This fall, you will probably be looking for ways to spruce up your Cockeysville home. Did you know that decorative stone can help enhance your curb appeal? This fall, you will probably be looking for ways to spruce up your Cockeysville home. Did you know that decorative stone can help enhance your curb appeal? Whether you’re looking to sell your home or you want to make your seasonal decorations stand out more, here’s how you can incorporate decorative stone into your home’s design. 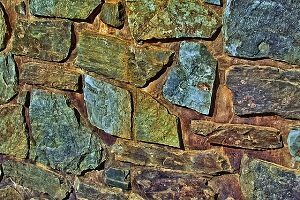 Walls made of decorative stone will impress your neighbors and delight potential homebuyers. You can also consider creating arches made of decorative stone to give your Cockeysville landscape that next level look – build a magical wonderland just in time for Halloween and other fall festivities where you can pretend to escape the real world for a little while. While the cooler weather is on the way, your garden isn’t going to be barren. Some flowers thrive in the fall and the winter, although most of the time the plants in your garden will be preparing to hibernate. While you’re waiting for fresh deliveries of mulch, you can experiment with using decorative stone in your garden, raised or not. You can also use the decorative stone to create some space between flowers so that they don’t grow on top of each other. If you want to go even further, then you can add planters – one planter full of annual flowers, and another one filled with perennial flowers. It’ll be hard to move around your Cockeysville yard without some clearly defined pathways. Whether you need a path connecting separate garden plots or you want a walkway that connects your patio and outdoor kitchen to the front door of your house, the decorative stone is a great way to accomplish your goal. Decorative stone pavers can achieve form and function for you, so give them some thought as well. Fire features can keep you warm on a chilly autumn night in Cockeysville, while water features can help lend a sense of serenity to your landscape. Build both with decorative stone and give your home a dimension it didn’t have before. Trust Lehnhoff’s Supply and Design for All Your Decorative Stone Needs! This entry was posted on Friday, September 28th, 2018 at 11:23 am. Both comments and pings are currently closed.